The nanoelectronic circuits based on single electronics would revolutionise the new generation electronic bio-medical gadgets. The high speed nanoelectronic devices would make these gadgets faster and more accurate. The nanoelectronic integrated circuits would be a boon for power saving along with advanced portability. As the scaling down of silicon based integrated circuits is limited in nanometer regime alternative materials like organic molecules, polymers, carbon nanotubes and graphene are focal point of research. These materials exhibit various electrical, electronic and mechanical properties, flexibility being one of very significant ones. Flexible nanelectronic integrated circuits would make biomedical applications very patient friendly. The in-vivo examination and diagnosis would be less injurious to the body. Also the flexible nature will increase the maneuverability of the device by the operator. It will improve the targeted diagnosis and targeted drug delivery procedures. 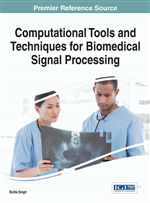 This would further facilitate system-on- chip (soc) that will integrate multiple biomedical signal acquisition (ECG, EEG, EP, and respiration-related signals) with on-chip digital signal processing. Present day medical and healthcare technology is largely supported by electronic circuits. The performance and efficiency of medical diagnostic, computational and procedural machines are dependent upon the performance of integrated circuits. Development of integrated circuits has been instrumental in the development and improvisation of bio-medical equipment. The present generation has observed enormous development in the field of science and technology. Most of the manually handled bio-medical instruments have been replaced by automatic electronic gadgets that are fast, accurate and portable. The semiconductor industry drives the massive software and hardware development sector, with its successive development in speed and miniaturisation. The rate of advancement of electronics has followed a roadmap commonly referred to as “Moore’s Law”. The prophecy was formally presented in 1965 by Gordon Moore, Director of Fairchild Semiconductor’s Research and Development Laboratories, in the 35th anniversary issue of Electronics magazine (Moore, 1965). He forecasted that transistor density on a computer microchip will double, and costs will halve, each twelve months, and this has been (roughly) borne out by empirical observation to the present time. In the 1990s, the Moore’s Law was also understood to imply that computing power at fixed cost would continue to double every 18 months. This exponential growth of component density on a chip has now placed current silicon-chip development “bang-up” against the fundamental physical limits of conventional microelectronics. Moore recently admitted that Moore’s Law, in its current form, with CMOS silicon, will “run out of gas” in 2017(Jurveston, 2004). Speculation on the continued application of Moore’s Law therefore leans towards essential departures from silicon technology to such newer technologies as molecular electronics, quantum computing, spin devices, bio-computing, DNA computers, and other theoretically possible information processing mechanisms (Tuomi, 2002). The electronic devices fabricated using newer technologies supported by quantum computational techniques would provide a fresh lease of life to Moore’s law. The wish to sustain Moore’s law is pushing electronics into the realm of nano-scale dimensions. The science and mechanisms of materials and devices at nanometer scale are studied under the umbrella of nanotechnology. It is a technology with an intention of developing tools, machines, and devices of nanometer range, based on scientific principles, governing at this scale. Paradigms for nanotechnology can be schematized in two classes: (i) the “top-down” approach based on obtaining the desired tiny products by sculpting from bulky precursors; (ii) the “bottom-up” approach that is based on the opposite path, i.e. on assembling the nano-products by using nano-sized bricks. Nature provides scientists with such elementary nano-sized building blocks: atoms and molecules. The fascinating spontaneous procedure and covalent interactions supplemented by the property of self- recognition and self-assembly help in structuring of various kinds of nanomachines that drive the natural mechanisms. Driven by the observation of these imperative principles that nature uses to operate its machines, scientists are planning research towards the fabrication of artificial nanodevices based on the same rules. There is also a huge interest and effort to construct other kinds of nanodevices on the basis of the same rules of supramolecular chemistry, by employing elementary building blocks that are able to recognize each other and form complex arrangements, adapting their structure to the environment and to the partners. In particular, self-assembling nanodevices that express an electrical functionality are pursued in view of the development of molecular electronics (Braun et al., 1998, Keren et al., 2002, Keren et al., 2003).